I am a girl, and I read comics. Sadly for a lot of people, still, this statement is an oxymoron. Unfortunately a lot of my students think so too. The problem? People still think that reading comics means you are either a superhero or sci-fi fan. I am neither. People think comics are pulp fiction, trash, over-violent, mindless. Never mind books like MAUS, Line of Fire or Barefoot Gen (you can read a web comic of Raina Telgemeier’s first experience of reading Barefoot Gen here). Every one has different needs when they are reading, regarding of the format. When I was a child, I read comics that made me laugh (Billy & Buddy, Astérix) and adventure comics (Tintin, Les 4 as, Papyrus). These days, I like to read realistic comics, stories that deal with real life issues and feelings. And that’s where I think we can entice young female readers particularly; because a good comic is no different than a good realistic middle grade or teen novel. The format might be different, but how they make us feel isn’t. 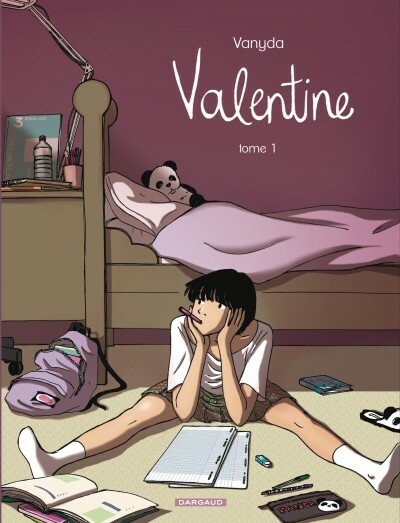 The selection below is particularly good, I think, at bridging the gap between novel and comic for female reluctant comic readers, but this does not mean in any way that they are “girl only” comics. 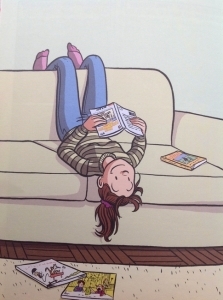 It would have been impossible for me to choose just one of Raina Telgemeier’s comic to showcase. 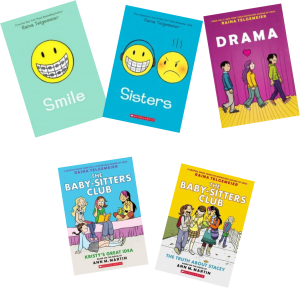 They are all perfectly pitched at the middle grade audience, whether it is the stories she has written and illustrated (Smile, Sisters and Drama) or the Babysitters Club books she has adapted (which are being reissued in full-colour in the spring). 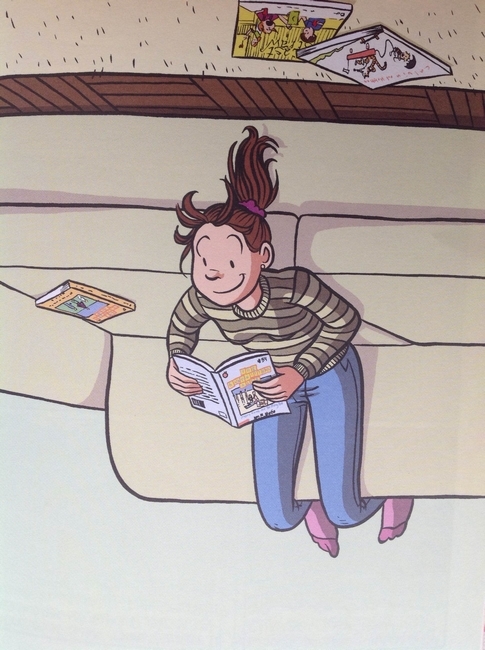 Telgemeier’s comics capture this tricky time of being a “tween”, not a child, nor a teen, perfectly. Smile and Sisters are both memoirs, following the author’s dramatic orthodontic woes in the first and her tricky relationship with her younger sister in the second. 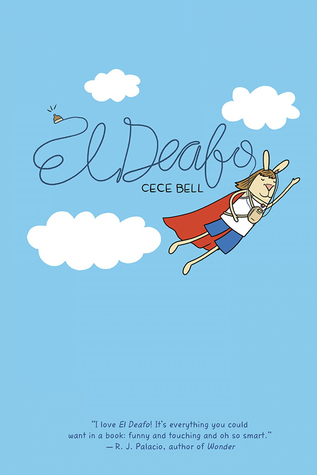 What makes Raina Telgemeier’s comics so easy to relate is that they are simply about every day life. Every reader, young and old, will be able to relate to the family conflicts and the aches of growing up. An incredibly honest tale of learning to live with a disability , El Deafo is also a universal tale of growing up and finding one’s place in the world. Read my full review here. Jane, the Fox and Me is a subtle, lyrical and beautiful story which focuses on a young’s girl issues with friendship and body image. 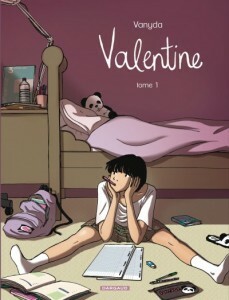 The murder/ghost story of Anya’s Ghost gives this teen-friendly comic an eerie atmosphere and works perfectly as a springboard to highlight Anya’s feelings of insecurity and conflict with her family and more generally issues with body image and what being an immigrant means in terms of finding one’s identity. It is spooky, smart and witty, with a heroine who is and looks likable and realistic. 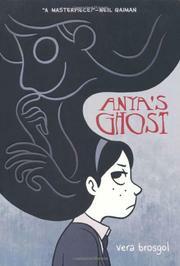 Despite the supernatural element, Anya’s Ghost feels very realistic and young readers will undoubtedly relate to Anya’s struggles. 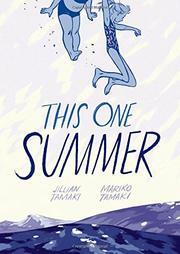 Ever year, Rose and her parents leave the city to spend the summer at a little house near the beach. There she finds her old friend Windy and her grandmother. But this year, things are different; Rose’s parents are constantly arguing. Desperate to get away from the heavy atmosphere , Rose and Windy take an interest in the older teens in the area, and begin to hang out at the local store. As the situation worsens at home, so does Rose’s experimenting. Until gradually, the secrets of her parents’ discord are unraveled. This One Summer is a powerful coming-of-age story; told in the first person, readers are made privy to Rose’s confusion at her parents’ behaviour and her own emotional upheavals. 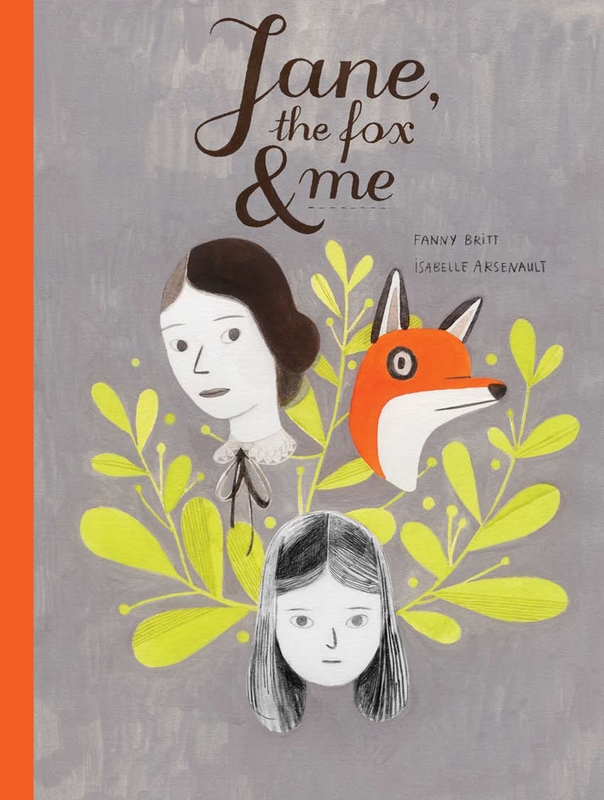 She struggles to understand where she fits in, caught between the innocence of childhood she is leaving behind, personified by Windy, and her impending teenagehood and growing up, personified by the older teens and their antics. It is a pertinent account of this almost no-man’s land and the tragedy that has torn her parents apart will not fail to move readers. The artwork is printed in dark blue ink throughout, recalling the colour of the Ocean, so central to the overall narrative. 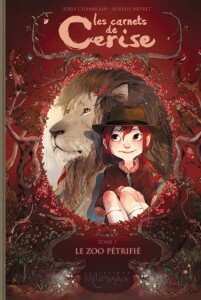 This is a quiet eloquent, delicate yet powerful graphic novel. 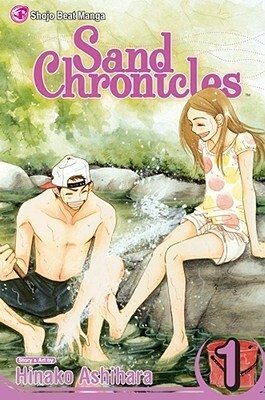 Manga are slightly different from traditional comics but I simply had to include this series, which remains for me, the best interpretation of teenage love I have come across in the comic/graphic novel format. The series consists of only 10 volumes, which is very short in the manga world. I reviewed volume 4 here.